The Twinner is a high-speed design Timmy has been Calibrating for years. He was simply not happy with the final product; not until now! The Twinner has been redesigned, refined, and is ready for rerelease for 2014. The Twinner is designed for small to medium sized waves. 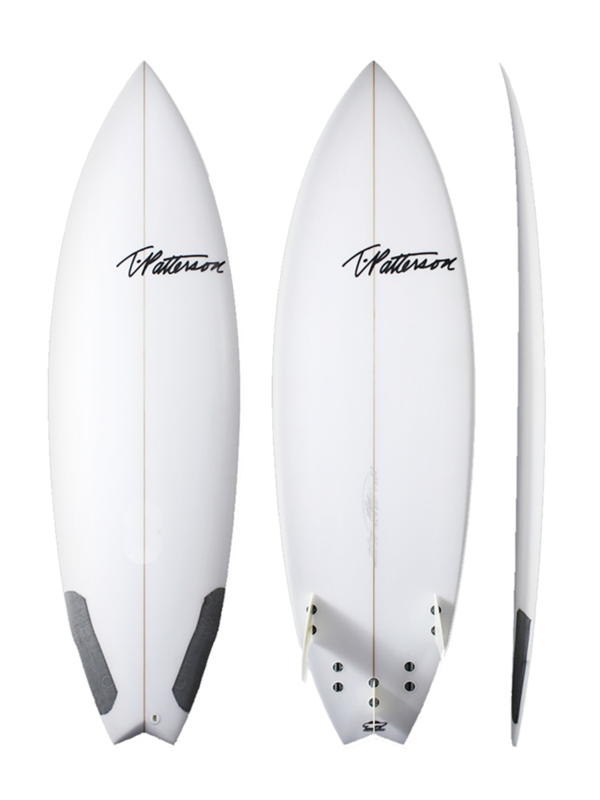 The deep single concave really comes into play for generating speed immediately after take off while the slight vee off the tail allows you to roll the board rail to rail faster and easier. It comes with a wider and fuller outline where the wide point is pushed up just a little further towards the nose to give you paddle power under your chest. Medium entry rocker and magical little tail lift for maximum performance at high speeds makes this board a favorite for those who feel the need for speed. This model comes standard as a single wing swallowtail. The Twinner works well with bigger twin fins and a small trailer fin but also works as a normal tri fin or even quad fin..